Being able to count on dependable equipment is a fundamental concern for bicycle travellers during expeditions, the aesthetics and unique design of that equipment is undoubtedly another major factor in choosing it. 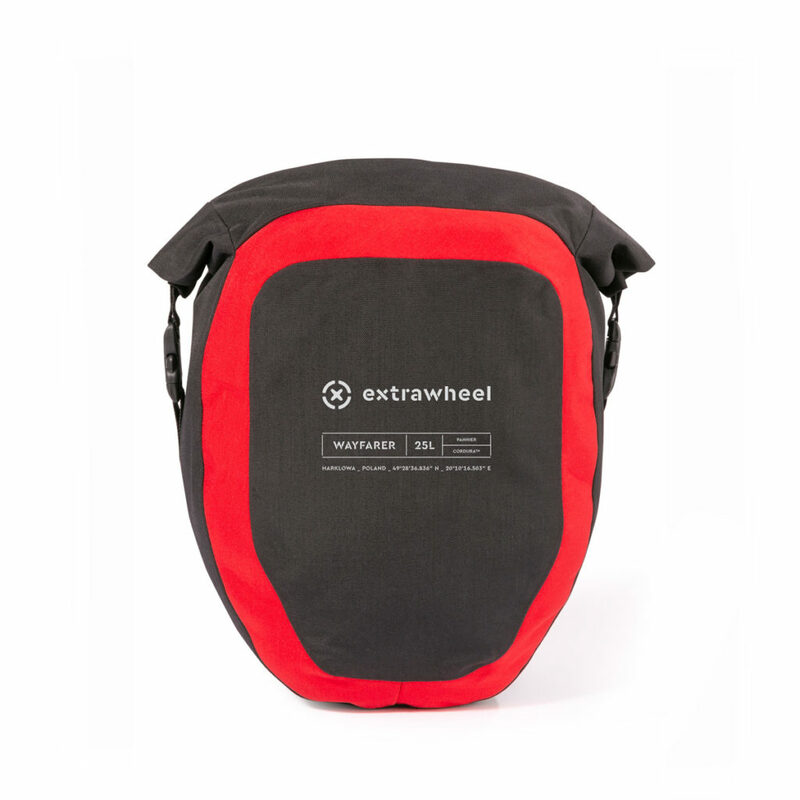 It is the aesthetics and design that allow us to enjoy the admiring comments of passers-by and friends as they share their enthusiasm for cycling trips. 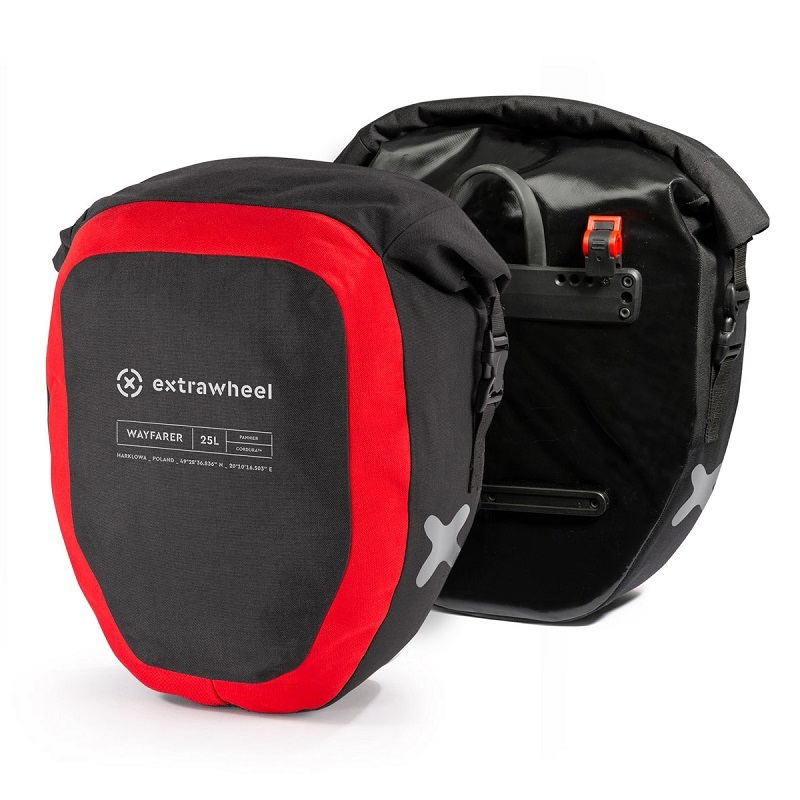 Extrawheel provides an opportunity to express your globetrotting aspirations by purchasing the complete set of equipment in the form of a professional bicycle trailer and a wide range of elegant accessories which match the trailer in colour and design. 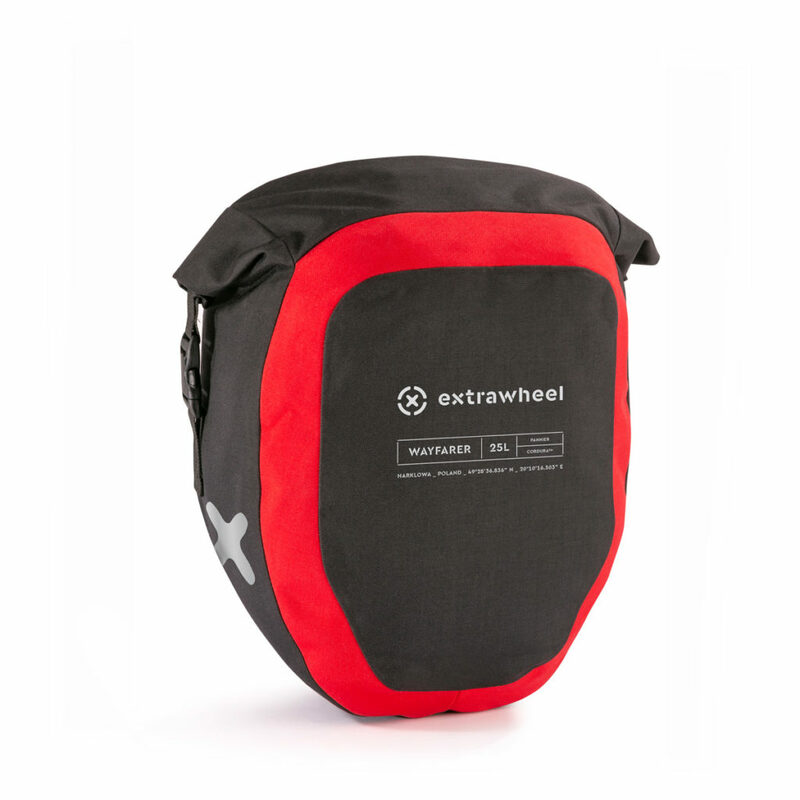 On the way to becoming the proud owner of all the accessories from the new Extrawheel line required for a cycling expedition, we encounter the Extrawheel Wayfarer rear panniers. 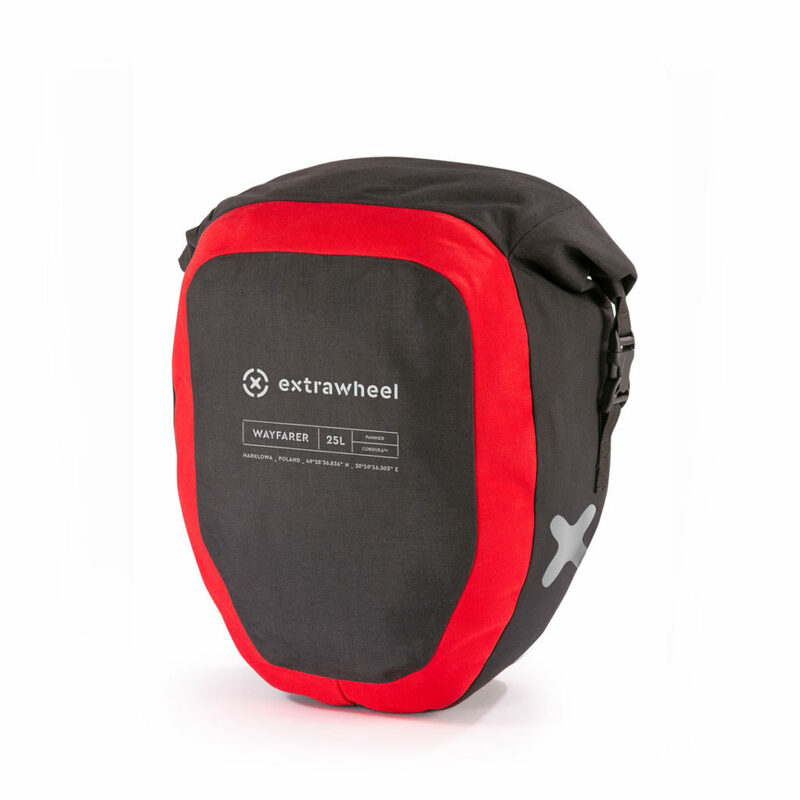 These are universal panniers with a reliable construction, made of Cordura – a material which is extremely resistant to wear and external conditions. 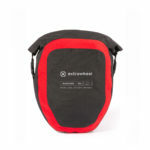 The individual panels are joined together with stitches laminated from inside, which makes them fully waterproof. This is conditional on them being rolled four times. 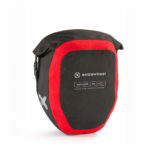 The KlickFix system ensures that they are easy to fit. Its clips fit bars with a diameter of 10-12 mm as standard, but the set includes four adapters for bars with a diameter of 6-8 mm.